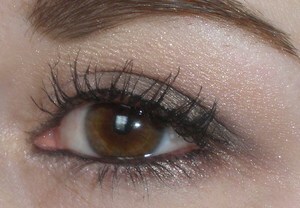 I am admittedly not a big fan of cream shadows but the Touch Touch! 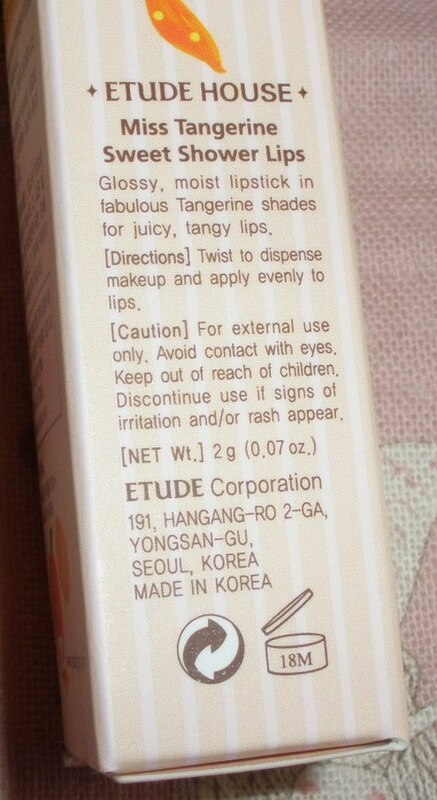 Shadow Liner from Etude House in color #4 looked really good so I ordered it on Gmarket, seller etudegmark. The Shadow Liner comes in a lightweight plastic pot which contains 4.3g and retails for 5500 Won (a bit over US$5) so it´s fairly inexpensive. The texture of this is great, a very smooth super-pigmented cream which applies and blends perfectly. 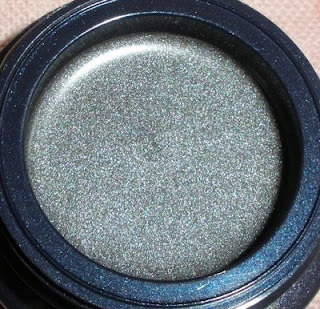 The finish is an intense metallic color which stays absolutely put without any creasing, fading or smudging. 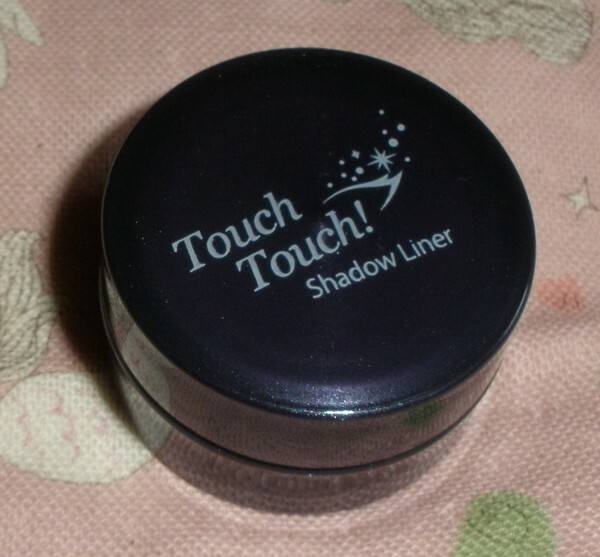 I like applying this over my whole lid with a wide cream-shadow brush but the Touch Touch! 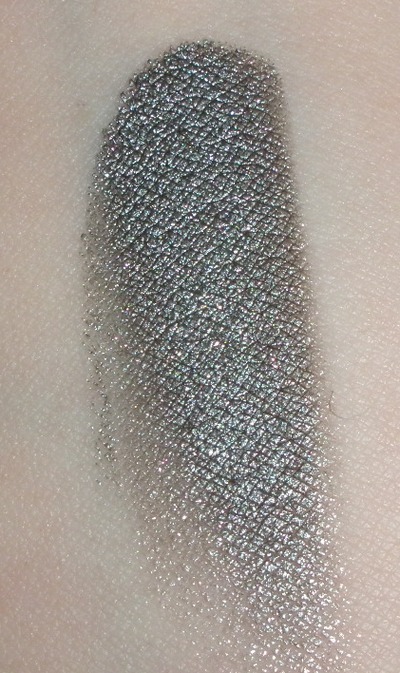 Shadow Liner is pigmented and intense enough to be used as a liner. 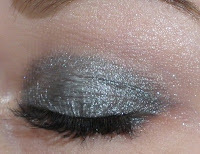 Color #4 is a nicely intense metallic gray. Overall I am very impressed with this product and can highly recommend this! Etude House recently released a tangerine-themed makeup collection which features quite an extensive array of products. 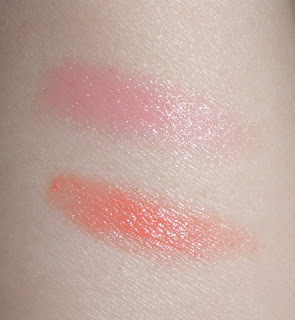 Since orange makeup is exactly the opposite of what I like I only ordered a few pieces that looked wearable for me: The Miss Tangerine Cream Choux Blusher in a light pink color and 2 of the Miss Tangerine Sweet Shower Lips in colors that looked like a pearly peach and a pearly sweet muted pink (they aren´t as you will see in the swatches below). I really like the packaging of the Miss Tangerine collection as its quite bright and cheerful. 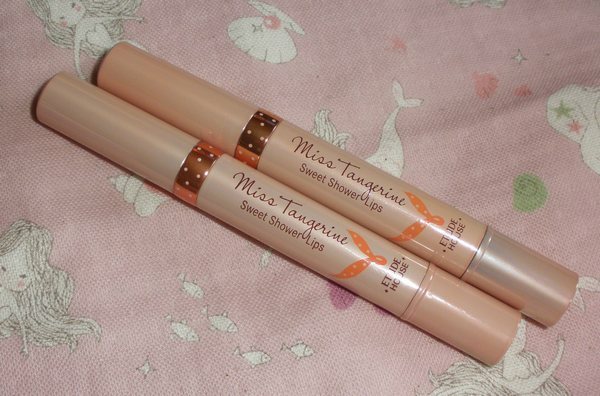 The Miss Tangerine Sweet Shower Lips come in quite heavy metal swivel-up tubes (similar design to e.g. 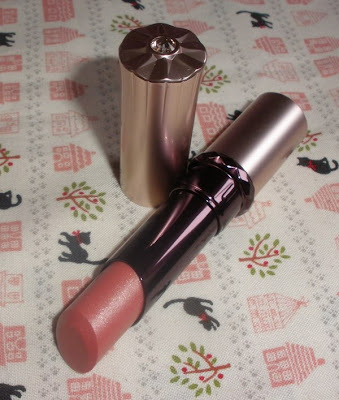 the Extra Silky Lipsticks from Cle de Peau) but please be careful not to twist out too much of the lipsticks as it doesn´t retract. The price of 8500 Won (around US$7.80) isn´t bad but the lipstick only contains 2.2g which might be used up quickly with regular use. 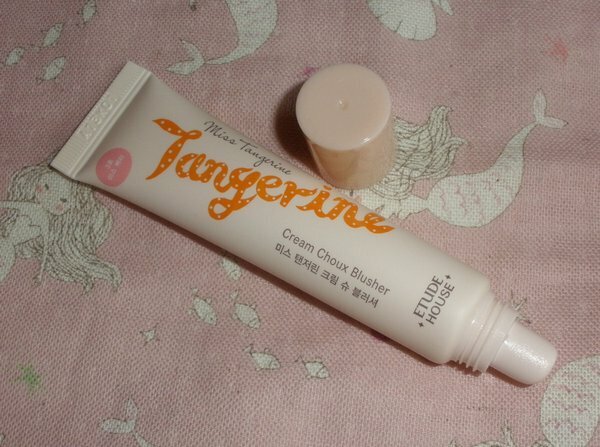 It´s lightly perfumed with a fresh citrus scent (tangerine I guess) and the color is sheer and offers a creamy, slightly glossy finish. The texture is creamy and the lipstick is comfortable to wear however it´s not the most moisturizing formula and the color can look blotchy if I don´t use a lipbalm underneath. I got the colors #1 Shiny Pink Shower and #5 Sweet Peach Shower. #1 is a light bright bubblegum pink which is pretty for a fresh summer look but only when worn lightly as it can look a bit dull and uneven. Not the most sophisticated and elegant color in my opinion. #5 is totally not a soft peach, it´s a very bright orange shade so I only sampled it once on my arm but gave it as a gift to someone. 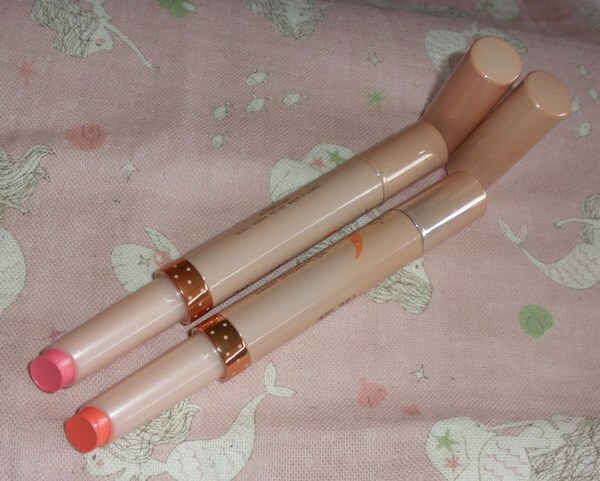 Overall a decent product but since 4 out of the 5 available colors are oranges it might be hard to pull this off depending on your skin-tone and personal taste. 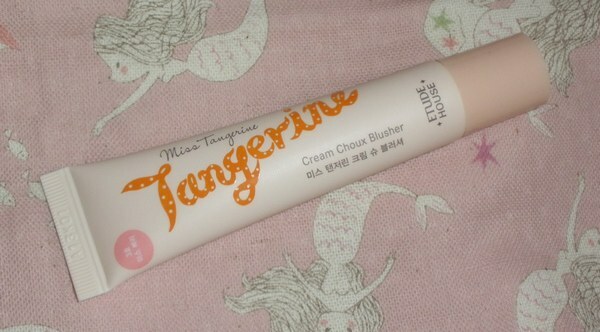 The Miss Tangerine Cream Choux Blusher is available in 4 colors (orange, peach, pink, lavender), contains 12g and retails for 6000 Won (around US$5.50). It comes in a squeeze tube with a slanted applicator (what you are used to see on lipgloss tubes). 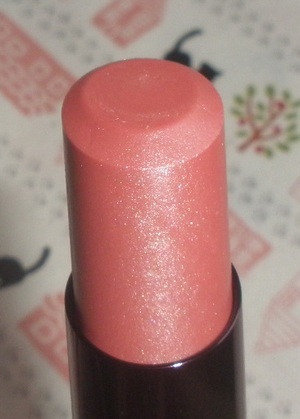 The blush is very thick and not very greasy or slick, on the contrary, it´s more like a dry cream. 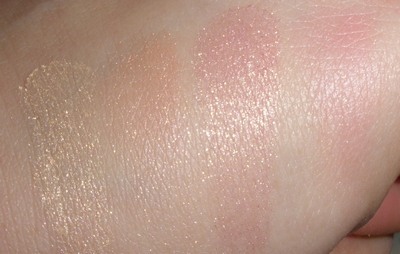 The cream blush is quite pigmented so a little goes a long way. 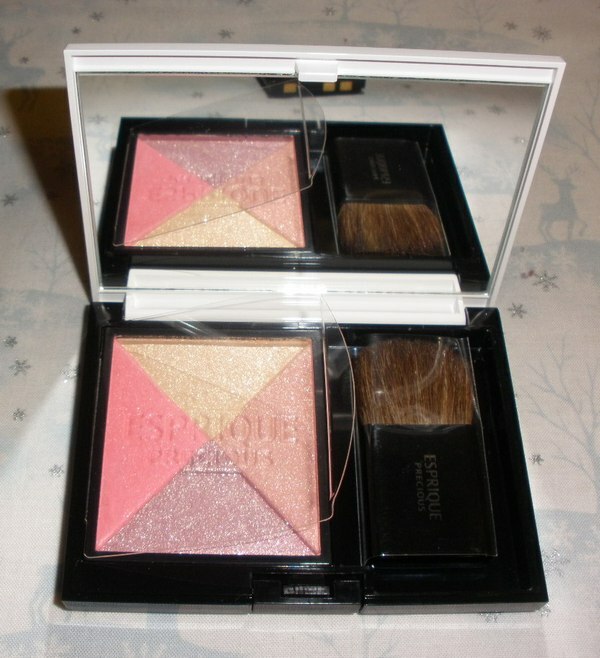 It blends nicely, even over a light layer of powder and looks evenly and natural on me. 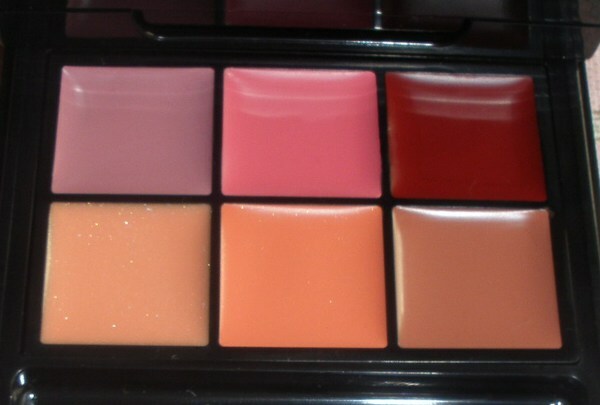 In order to blend this evenly one should be quick as the blush dries down quickly and then it lasts really well throughout the day. This product is unscented and in my opinion absolutely worth its price. 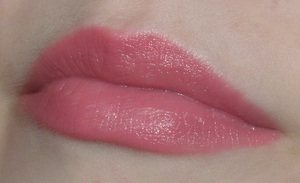 #3 Miss Berry is a sweet light pink giving this very nice slightly flushed cheek look. 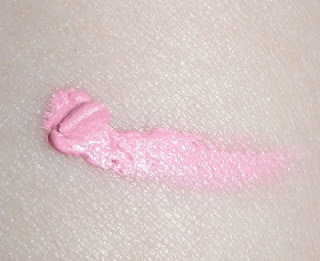 When blended into the skin it doesn´t look as light as it looks straight from the tube. 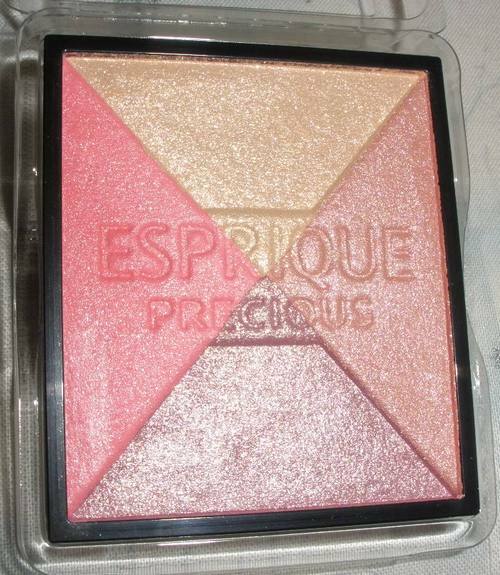 Overall this is a really great product, one of the best cream blushes I have tried so far..and very affordable, too. 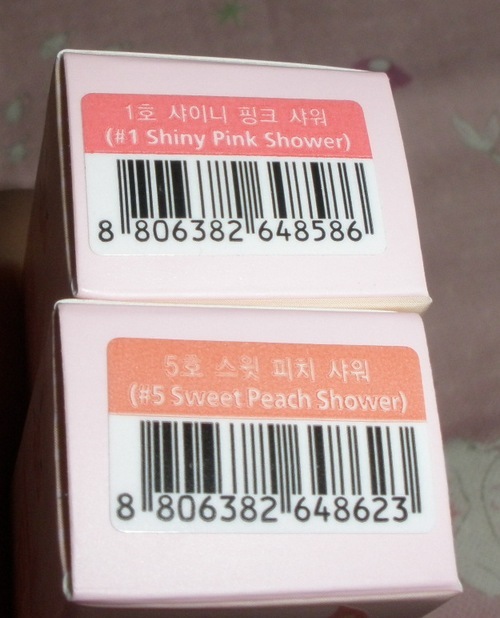 I´d really like to try the lavender one and maybe the peachy one. I ordered all products along with some other items from etudegmark on Gmarket. Shipping was fast and all items were packed securely as always. 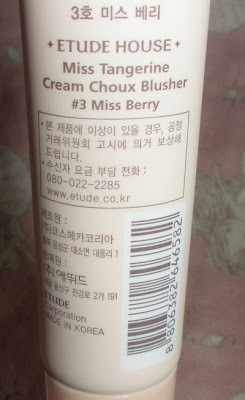 I have to add that Etude House is now really stingy with their freebies. I got a purse organizer as I spent more than 50000 Won but there was no sample or other freebies like in the previous years. That´s a little disappointing but the amount of freebies one can get from Gmarket sellers has drastically dropped in general. Really a pity as many were quite generous with samples etc. Esprique Precious (which is soon to be revamped and re-released as Esprique) came out with a couple of new blushes some months ago. 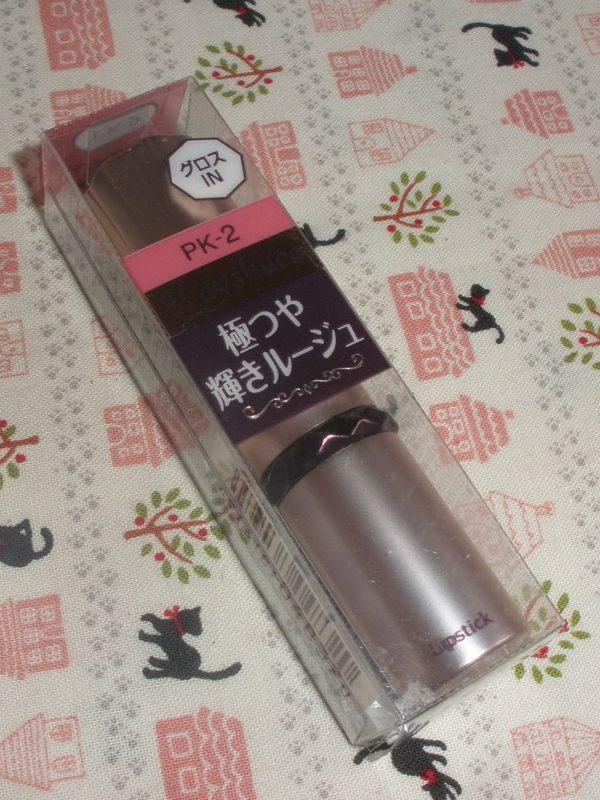 I got the color 02 from Adambeauty along with the matching case as it looked like a gorgeous combo to go with a good variety of my lipsticks. 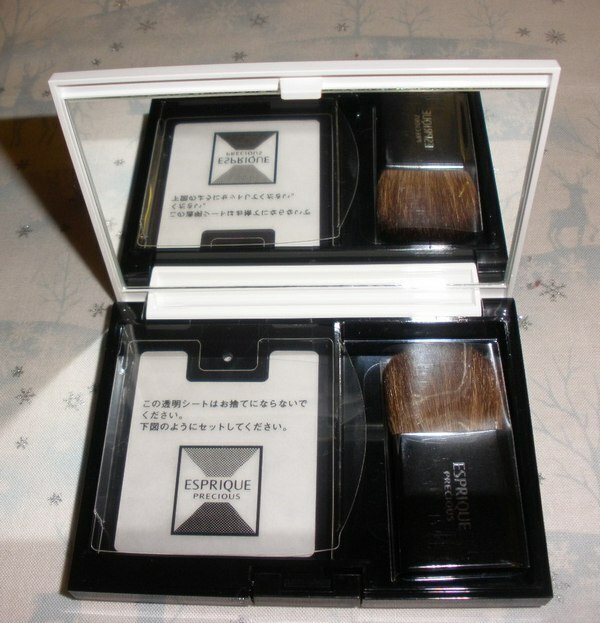 The case is white and silver and contains a mirror and a very soft wide cheek brush. 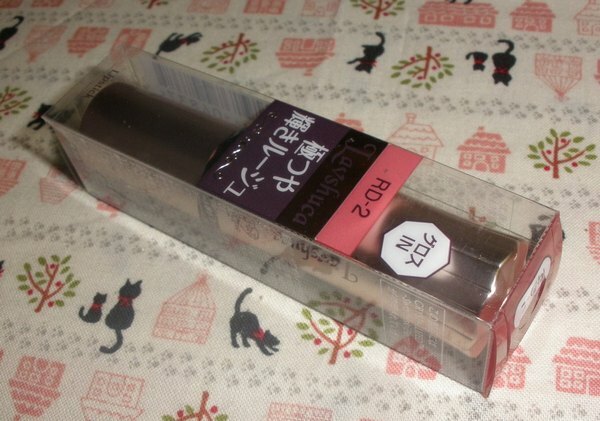 Most Japanese brand include actually nice to even excellent brushes and applicators in their products so it´s always worth trying them out at least. The blush is quite shimmery with a sheer amount of pigment as most common among Japanese brands. 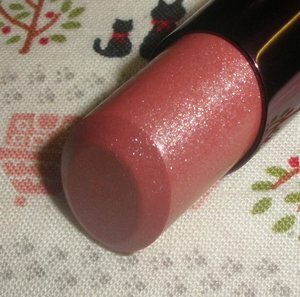 The shimmer is quite fine though so my lips look nicely dewy and highlighted rather than glittery. 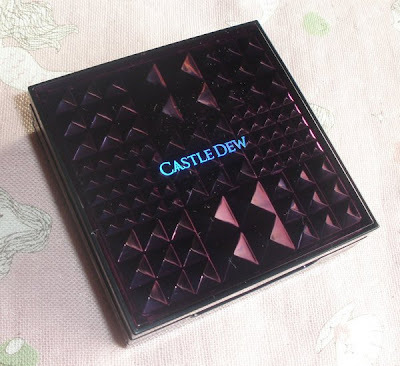 Lasting power is good, the blush lasts pretty much as long as my face makeup without significant fading. Overall a great blush albeit a bit pricier as you have to buy the case separately (that´s if you need the case). Somang is a brand offering nice quality items for really affordable prices. 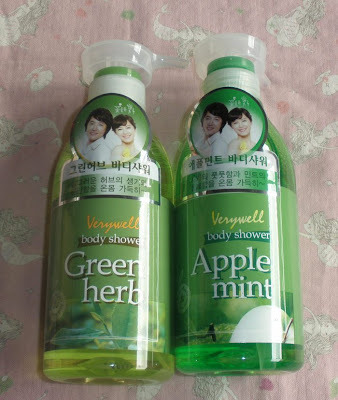 I got couple of shower gels from their Verywell range along with my recent Gmarket order and enjoy using them quite a lot so it´s time for a review. I got two 500ml bottles/each of the Green Herb and the Apple Mint Body Shower gels (so 4 bottle total), each duo costing a bit below US$10 in this listing: 180199555 (options H and J). These shower gels come in very plain clear bottles but the big pump dispenser really makes using this a breeze. 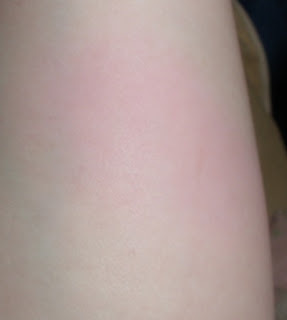 The gels both lather very well, especially when used with a shower lily. I think both of these gels leave my body clean and softly scented and are not drying my skin out but aren´t particularly moisturizing either, just good basic body cleansers. Green Herb smells very fresh, much like original cologne (or very similar to a certain green tea scent from a known perfume brand). Perfect for summer or to wake you up in the morning, could be a good shower gel for both ladies and gents. The Apple Mint shower gel smells like apple chewing gum or candy to me. I can´t really detect the fresh mint notes well, to me it´s more like a sweet candy apple scent. Quite nice and not too sweet and sticky. Overall these are really nice shower gels so I recommend checking them out if you see them. I picked up a couple more colors from Lavshuca´s Star Glow Rouge series back in January and February as Adambeauty finally started to list them. First I got PK-2 and later RD-2 as both looked like gorgeous colors. 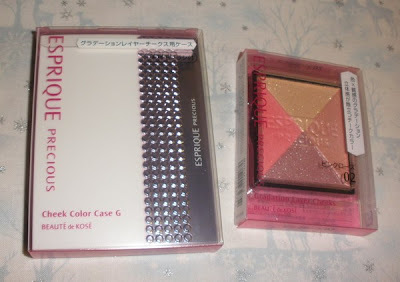 I reviewed 2 of the colors in this post so check it out for more details! 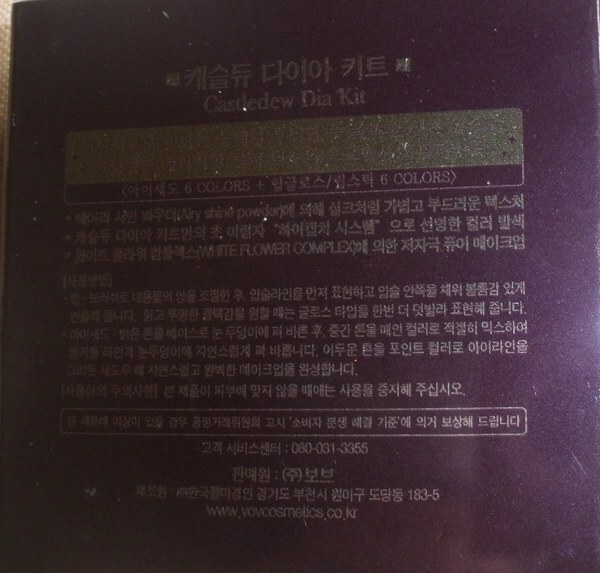 The texture is really nice and creamy albeit (depending on the color) slightly scratchy due to the amount of fine shimmer particles. This is something that doesn´t personally bother me (unless it´s huge glitter) but I thought it should be mentioned. 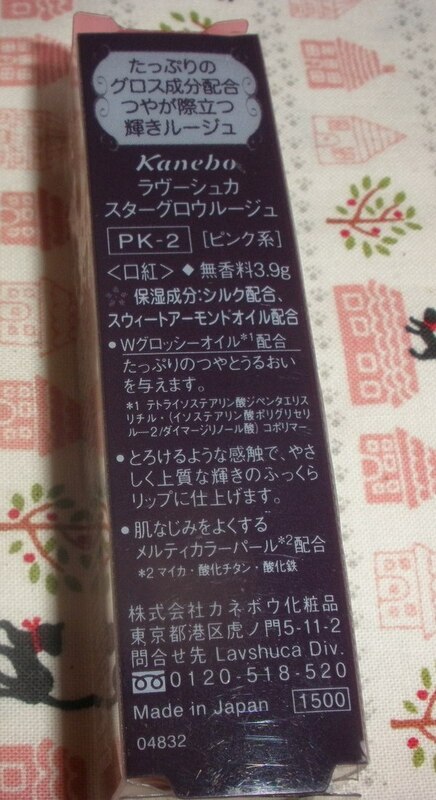 PK-2 is a pearly, almost frosty light orangey pink and feels a little more dry than the other colors. Not my personal fave! 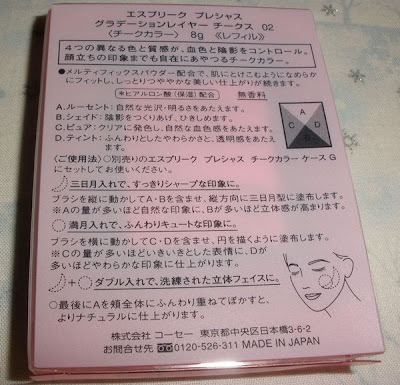 The price on Adambeauty is very reasonable (US$13.50) which is even some $ below the retail price (depending on the exchange rate). I´ve been trying a lot of Amore Pacific Happy Bath products lately and really like all of them (a few are ok but most are great). There is no dud... on the contrary, quite some products have good staple potential! 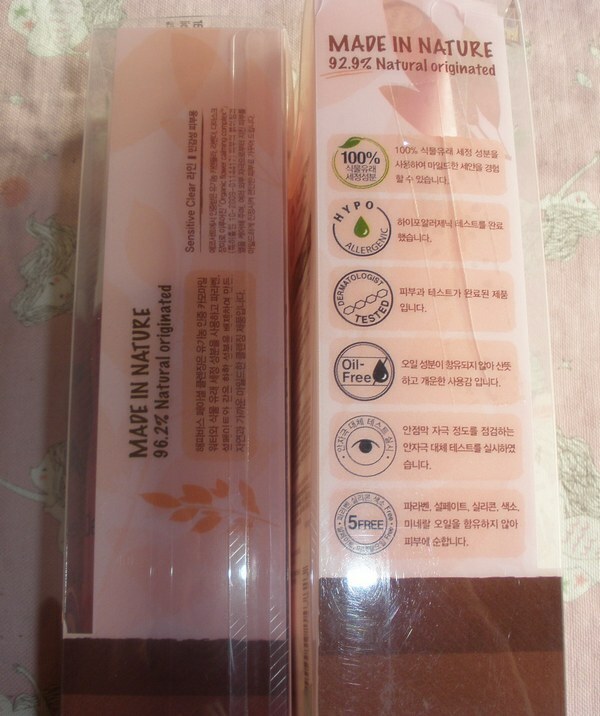 There aren´t many face products in the line, only cleansers for different skin-types so I picked up the 2 for sensitive skin. 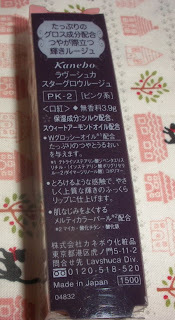 The idea of a cleansing oil foam isn´t new but still somehow quite intriguing for me. 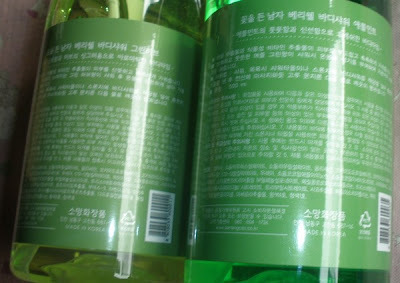 There is a regular cleansing oil in the Happy Bath Line but I got the one for sensitive skin which came in bubble form. The 150ml pump bottle contains a pink liquid and smells like a natural and non-chemical blend of roses and some herbs which is a quite refreshing and unobtrusive scent for me. When I push the pump a fine and dense white foam comes out and even with massaging into the facial skin the foam doesn´t disappear. 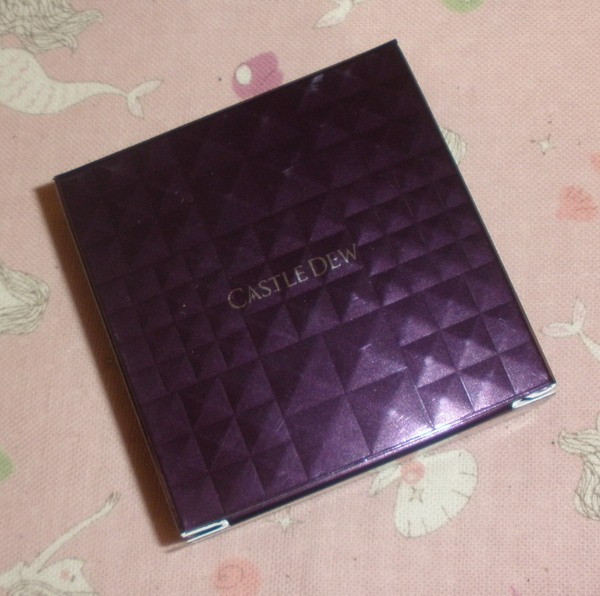 To be honest this isn´t a good makeup remover as it doesn´t seem to break down makeup, especially not waterproof one. It burns when I get it in my eyes so it´s not good for using in the eye area either. However this is a really great non-drying facial cleanser as it leaves my skin clean but soft and moisturized (not greasy or oily!) so I like to use the Bubble Cleansing Oil after a regular cleansing oil or alone in the morning. So overall it fails as a cleansing oil (face makeup remover) but it´s a really good face cleanser. The Sensitive Clear Cleansing Foam comes in a squeeze-tube containing 175g of product. 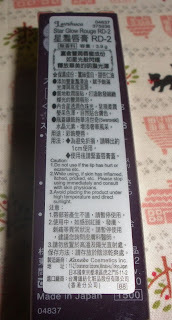 The texture is like most Asian cleansing foams, a very thick paste-like consistence which lathers up very easily. I like to use this with a face-sponge to create very thick and rich foam. This is a little drying but not to the extent to make it an uncomfortable product. Smells like the Bubble Cleansing Foam (a rose/herb scent). The products are made of over 92% respectively 96% natural ingredients, are hypo-allergenic, dermatologist-tested and contain allantoin and organic flower calming complex (rose, lavender, calendula). 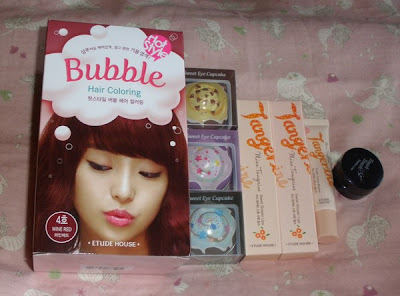 Bought on Gmarket from 영뷰티 for around US$7/each. Before I start reviewing this product I want to send my prayers and best wishes (and some funds) to Japan! I am terribly sorry and shocked about what is happening in this beautiful country and I cannot imagine what the people there have to endure right now. I hope all will be fine soon but I am really worried! 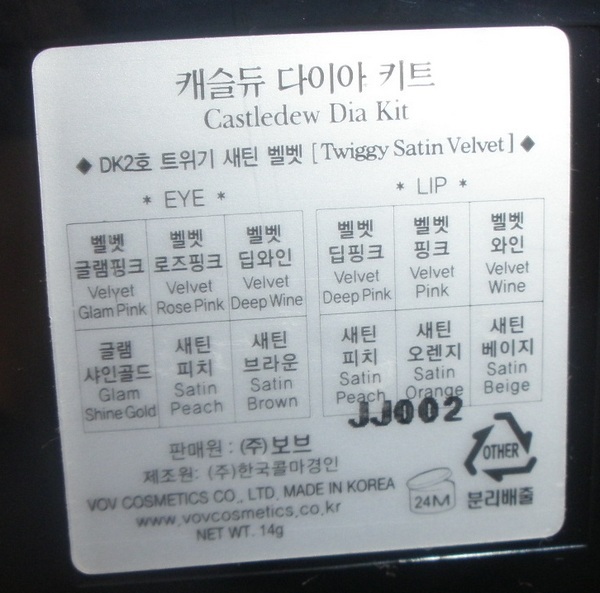 I haven´t purchased Korean makeup for quite a while but after buying that wonderful eyeshadow palette from Etude House I also found a really nice-looking product from VOV Castledew for 19000 Won (US$17 or around that) so I added it to my most recent Gmarket order. 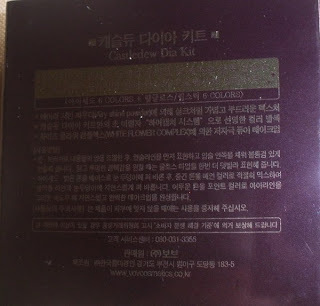 The Dia Kit contains 6 eyeshadows and 6 lipsticks and comes in 2 color variations. I got DK2 Twiggy Satin Velvet as it features slightly deeper colors. 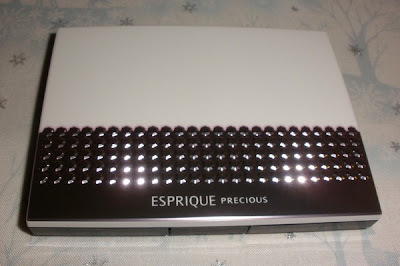 I really love the deep purple case as it looks very elegant and is quite bulky and heavy so it is actually quite luxurious for such an inexpensive product. 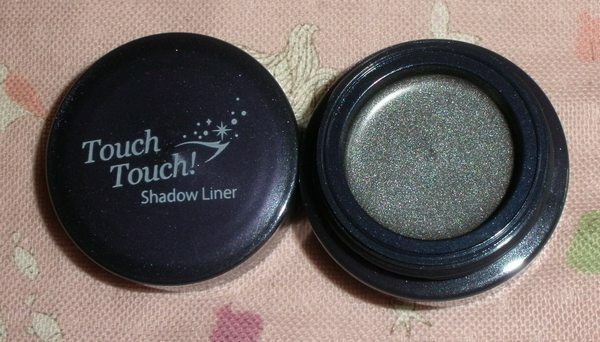 The shadows are quite good, nicely (sheer-medium) pigmented and with a subtly shimmery, rather more satin finish (only 1 color has a bit more shimmer). 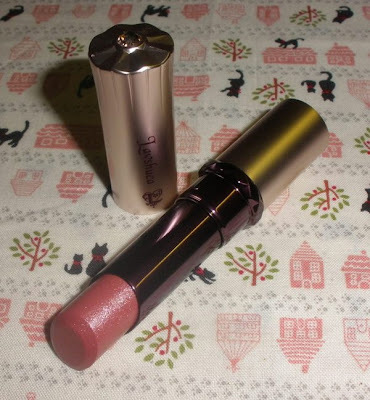 The lipsticks carry a subtle fruits scent, are a bit dry for my liking and have a satin-velvet finish. They look a bit shimmery in the swatch but actually they aren´t in real life. There is one glossy sheer color which adds a nice dimension to the other lipsticks and gives a more comfy feeling. 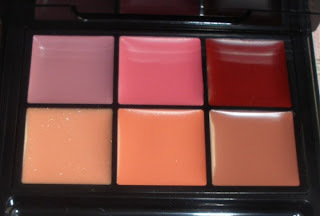 Overall the kit is actually really well suitable to wear for work as there are no crazy colors, on the contrary, everything is subtle and natural for a perfectly polished look. 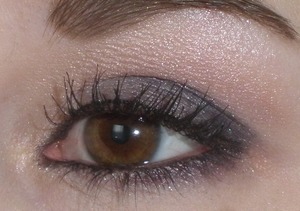 The eye colors are a pale satin pink, medium satin rose and a deep purple. 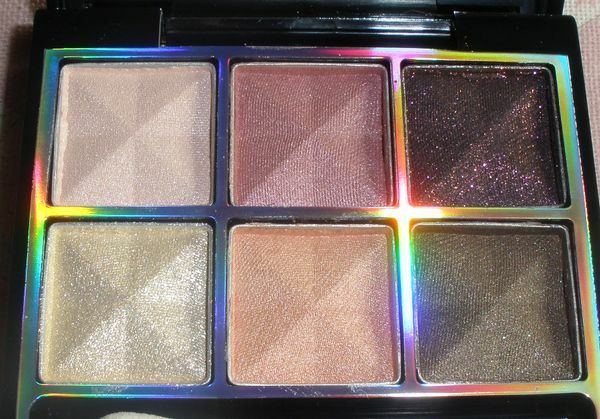 The 2nd row contains a shimmery yellow ivory, satin apricot and a neutral chocolate brown. 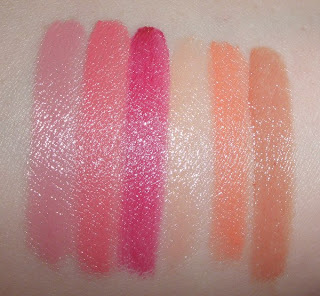 The lip colors are a lilac pink, bright pink, deep wine pink, glossy sheer peach, tangerine and a neutral beige. I really like the Dia Kit and think it´s a great staple makeup palette. 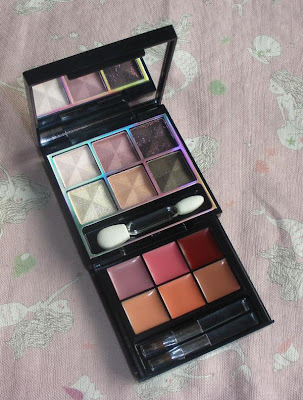 If I HAVE to travel to Egypt in April for a week then I will probably take this and a few other things as this kit really gives nice makeup options. The lipstick pans are quite shallow though so they might finish quickly. 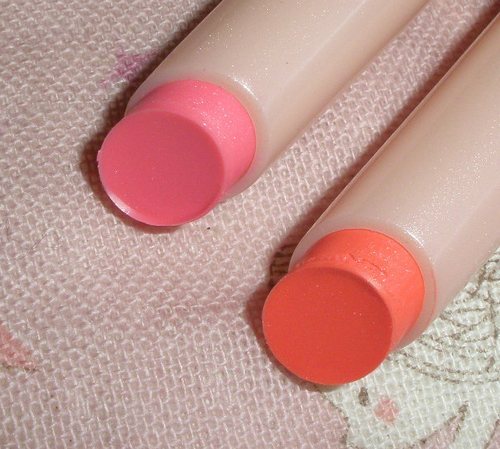 I only wish the lipsticks were a little creamier and more comfortable to wear. 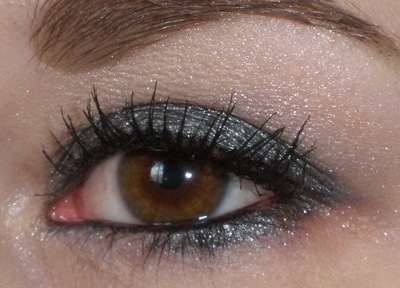 First EOTD features a natural look using all colors except the deep purple, the other look features the 3 colors in the top row. First lip is the bright pink (2nd in top row) and the other one shows the beige (3rd color in the bottom row).